Eabhal (Pron. 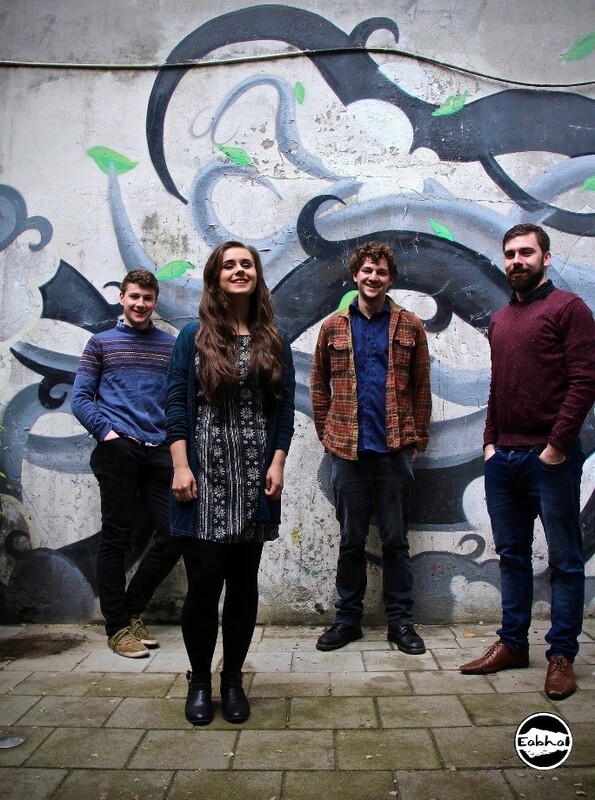 Aval) are four young musicians who met and began making music together on the Outer-Hebrides’ Isle of Uist. Playing folk and traditional music from Scotland, Ireland, Asturias and further afield alongside self-penned tunes and Gaelic songs, they produce a melting pot of sound representative of their very different backgrounds. Since the release of their self-titled E.P the band have toured throughout Scotland and England and taken their music over to Europe. Previous performances include – Mulligan’s Bar Amsterdam, Solfest, Celtic Connections and performances alongside Breabach and The Outside Track.